The East African country of Kenya is currently housing two Anti-Corruption agencies after it emerged that the long established one was corrupt, taking millions of dollars in bribes. So far, the head of the now being investigated for corruption agency-Peter Montabi has been arrested and several counts of corrupt charges is expected to be mounted against him and his staff—as the government prepare to dissolve the commission for being extensively corrupt. Apparently, workers at the Kenya Anti-Corruption Commission are furious that they are solely being tainted as corrupt, claiming anyone who believes any institution is corrupt free in Africa, including the many Anti-Corruption bodies needs mental evaluation. 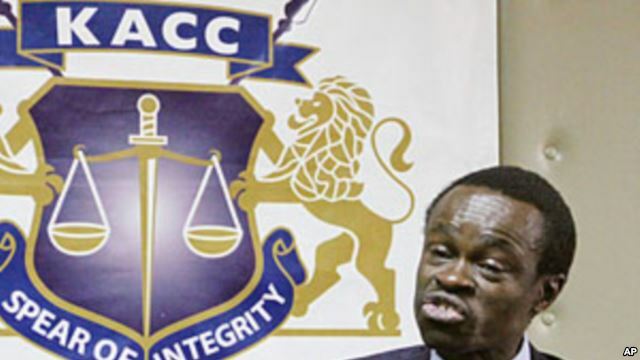 The Kenya Anti-Corruption Commission (KACC) was established in April 2003 to replace the Kenya Anti-Corruption Authority after Parliament enacted new legislation.